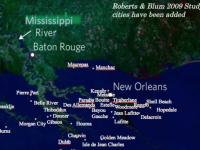 Below are maps, studies, articles, and interactive graphics regarding Louisiana towns that are in danger of disappearing into the Gulf of Mexico. 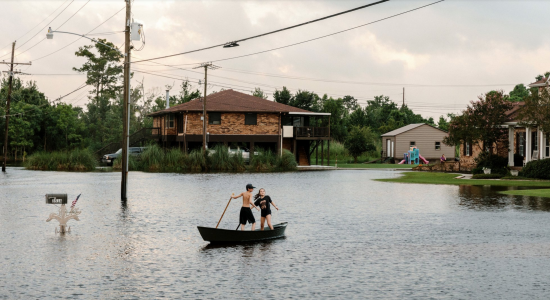 Some of these items also explore the hard choices that the state has to make about which communities to save—and which to let go. 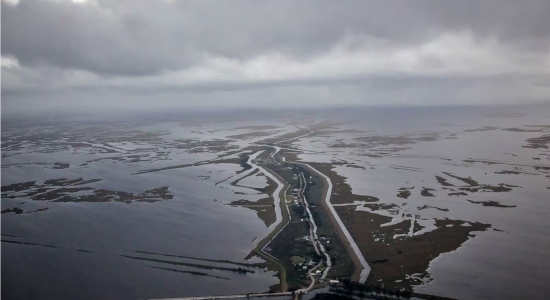 "Louisiana’s 'working coast' is dotted with communities that, like Lafitte, may not outlast the people who currently live there: Cocodrie, Delacroix, Dulac, Grand Isle, Isle de Jean Charles, Kraemer, Leeville, Paradis, Pointe-aux-Chenes, Venice." 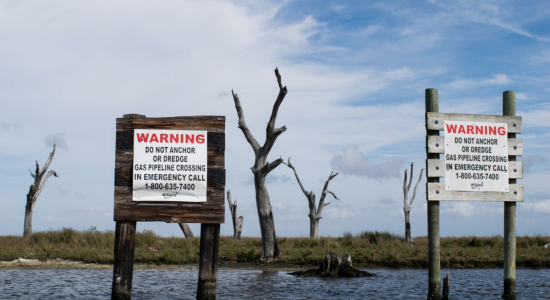 "We stop at the town’s old cemetery, marked by a sole wooden cross...Although the Pointe Aux Chenes community still thrives up the bayou, it is eerie to traverse a landscape dotted with the carcasses of trees and imagine what was once here: a school building and houses; horses and cattle. A homeland." 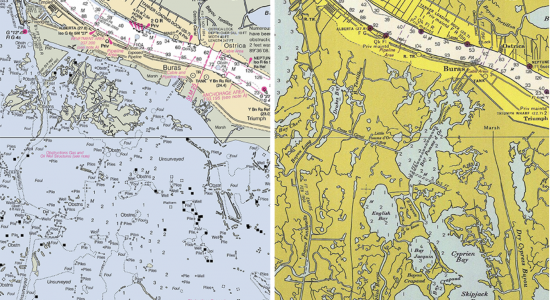 NOAA's historical map and chart collection tool allows users to compare today's shorelines with the same geographical sites as they appeared in the past. 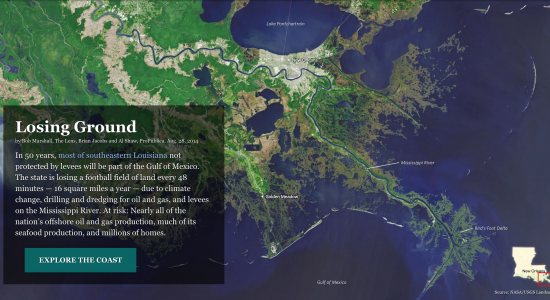 An award-winning reporting and interactive graphic project that explores the causes of Louisiana's land loss as well as the cultural, economic, and environmental costs of it. 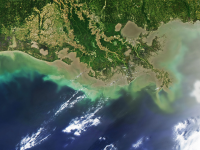 Competing science and engineering teams from around the world were tasked with developing 100-year visions for restoring and sustaining Louisiana’s eroding coast for the people, communities and industries in the region. 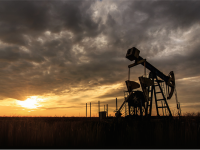 All of the winning teams found that the state's southernmost communities should be abandoned. 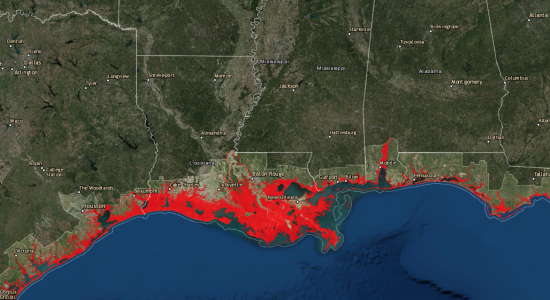 The National Oceanographic and Atmospheric Administration's sea-level rise viewer shows not only predicted sea-level rise, but also flood frequency, marsh migration, population vulnerability, and local scenarios.